These are thrilling times in neurological research. The field of neurology is now well beyond being just a great clinical specialty with a logical approach to a varied spectrum of interesting disorders. Indeed, major advances in our understanding of and ability to treat neurological diseases are taking place, and it is likely that even more promising new discoveries lie ahead. As such, there is a need to create additional avenues for basic and clinical neuroscientists to publish and debate their work, provide neuroscientists-in-training more career development opportunities to become independent researchers, and do all of this in a relatively speedy and broadly visible manner. It is with these goals in mind that the World Federation of Neurology (WFN) is launching a new open access journal, eNeurologicalSci (eNS). As an open access journal based on the author-pays model, eNS authors will pay a set fee, a so-called article processing charge, once a peer-reviewed article has been accepted. eNS will serve as a sister journal to WFN’s long-time flagship scientific journal, Journal of the Neurological Sciences (JNS) and JNS will support eNS by referring selected papers to it. On its own, eNS aspires to be a leading forum for the prompt and widespread dissemination of new knowledge as it accrues in this field of neurosciences. The journal will be accepting contributions from basic neuroscience all the way through to community studies submitted by researchers from around the world. eNS will also aim to enhance career development by welcoming papers of major relevance to neurologic education and making accommodations for submissions from trainees in neurology (e.g., residents, fellows, post-doctorate scholars, and medical students). 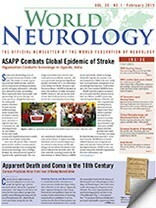 The types of manuscripts eligible for consideration in eNS include original research papers, short communications, reviews, editorials, perspective pieces, unique neuroimaging photographs, and letters to the editor, all of which can be submitted via an online submission site (www.ens-journal.com: to go live on February 2, 2015). Distinct from JNS, eNS will publish Conference Proceedings (full articles or meeting abstracts) from WFN endorsed neurological meetings from around the world, clinical practice guidelines issued by national and international societies dedicated to combating neurological diseases, Clinical Pathologic Conference articles (cases intended to be informative for developing clinical problem solving acumen), and study protocol articles (manuscripts that incorporate clinical trial or epidemiological study information/methodology/design). Beyond publishing ingenious discoveries, enhancing career development, and being clinically relevant, eNS will take advantage of its primarily online milieu to promote the use of audiovisual technology and social media tools, thereby enriching the experience of readers, broadening the exposure of articles, and providing opportunities to better engage with our published scientists. Furthermore, we have assembled a diverse group of expert editors and editorial board members to steer the journal into prestige and prominence. 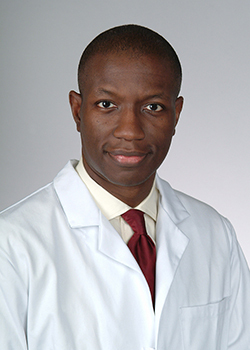 Given all of the aforementioned factors, eNS should be of considerable interest to researchers in the fields of neuroanatomy, neurochemistry, neuroendocrinology, neuroepidemiology, neurogenetics, neuroimmunology, neuroophthalmology, neuropathology, neuropharmacology, neurophysiology, neuropsychology, neuroradiology, neurosurgery, neuro-oncology, neurotoxicology, neurovascular diseases (stroke), epilepsy, movement disorders, neuromuscular diseases, cognitive/behavioral neurology, restorative neurology, tropical neurology, neuro-infectious diseases, and neurology-related health services research. Dr. Ovbiagele is the Admiral Pihl Professor and Chairman of Neurology, Medical University of South Carolina. He is the Editor-in-Chief of eNS.